A quick post today. 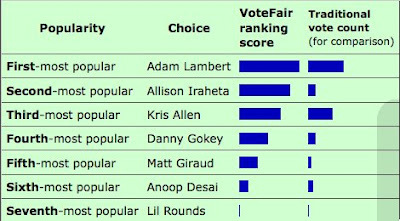 Here are some Votefair results for this week. Adam is back in front this week.